On St. Patrick’s Day in Chicago, the opportunities for bad decisions are endless. From drinking through dinner to trying to take the train to the parade to going anywhere near Kelly’s and McGee’s, there are innumerable ways for your annual celebration of Celtic pride to devolve into amateur hour if you’re not careful. Luckily, not all Irish bars are terrible on St. Patrick’s Day, some are actually pretty damn decent. So pick your holiday drinking spot wisely and don’t wind up like that girl with the shamrock earrings crying on the curb. There will be a long wait on St. Patrick’s Day, this is true. But you will be rewarded with a douche-free, authentic Irish oasis best known for its massive Irish breakfast, which is basically a food bomb of bacon, bangers, eggs, black and white pudding, baked beans, and white toast. What comes after a food bomb? Irish car bombs, naturally. On non-holidays, sip a Dirty Pirate (Sailor Jerry, Guinness, Coke, and blackcurrant) while bitching about the mayor. Or tell him to his face. Lady Gregory’s is almost too classy for St. Patrick’s Day in Chicago. Don’t believe us? Check out the “library room” for proof. 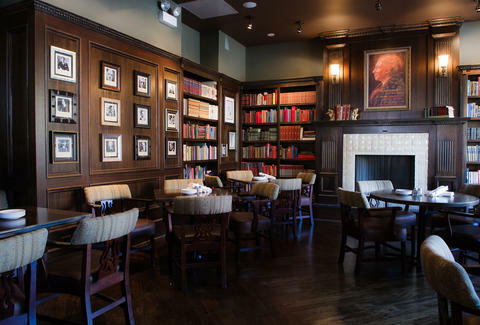 In addition to offering sophisticated opportunities for the fake reading of Irish classics, this spot is also highly regarded for its lobster mac & cheese and fireplace vibe that makes a perfect spot for awkward Tinder dates. If you are dating on St. Patty’s Day, expect bagpipe players and the least amount of annoyance available. Depending, of course, on your date. A River North bar on St. Patty’s day?! 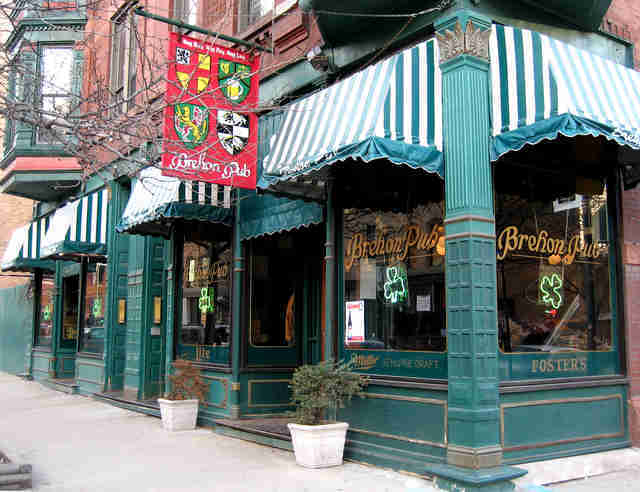 We know it looks bad, but Brehon’s location stashed away on Wells helps it avoid the usual St. Pat’s pitfalls. Yes, it is crowded, but not annoyingly so. Yes, there’s corned beef and green Jell-O shooters. But no, you won’t have to fight any meatheads in green mohawks to get some. And if all else fails, there’s always Golden Tee. On non-holidays, chill with locals and reminisce about the time the Sun-Times and Better Government Association used the bar to set up corrupt city inspectors in a sting operation. Depicted in films from Backdraft and Uncle Buck to Ocean's Eleven and U.S. Marshals, this firemen-owned former mobster hangout was once a prime location for the high-minded civic art of midget tossing. Clooney claims to be a fan and if he were to show up on St. Patty’s Day, he would find long lines (although he’s Clooney so not really), bagpipe players standing on the bar, and corned beef sandwiches to pair with SoCo and lime shooters. There are worse ways to spend St. Pat’s in Chicago. Much, much worse. If you want authentic, you go to Chief O’Neill’s. The back patio tent is one of the city’s top locations for the St. Patrick’s Day experience, where Irish dancers and buffet eats mingle with a more diverse crowd including families, the middle aged and beer-chugging youngins. You can argue whether or not Chief O’Neill’s one of the “Top 10 Irish Bars in the World” as their website claims (without attribution), but you can’t argue with their Guinness pour. No frills. No gimmicks. No BS. The Grafton is just a good time. Where else can you sip Chocolate Cheery mead and Evil Twin Hipster Ale over homemade beef and Guinness stews while listening to live music throughout the week in one of the city’s top fireplace bars? We think you know the answer. On St. Patty’s Day, it’s got everything you need but -- perhaps more importantly -- nothing that you don’t. Lively without being soul-crushing, The Grafton walks the line as fine as any bar in Chicago. While everyone in Beverly flocks to Cork & Kerry on St. Patty’s, a more desirable South Side destination is the laid-back digs of this friendly neighborhood dive, which also happens to be one of the oldest bars in the city. It’s legendary throughout local history as “Little City Hall” for shady political deals from the era of the smoke-filled back room, and today you can ask one of the members of the Shinnick family you’ll probably find behind the vintage Brunswick bar about it. A couple things to note: 1) The Cubs play the Sox at the Cell this St. Patty’s Day weekend. 2) The bar is just a couple blocks from the stadium. You do the math. Opened by the children of late, great Murphy’s Bleachers owner Jim Murphy in 2005, this affable North Center neighborhood hangout offers not one, not two, but 17 days of St. Patrick’s Day celebrations with traditional Irish music, Guinness pint-pouring contests, and hearty Irish breakfasts every day in March leading up to the big holiday. Far enough removed from the post-collegiate epicenter of North Side debauchery yet close enough to throw out a lively, slightly more “adult” vibe, this joint classes it up with an “Al Capone” private party room (not Irish, but close enough) and a massive hand-crafted teak bar from County Wexford (definitely Irish). Just try not to spill your County Cork mule all over it, you savage. 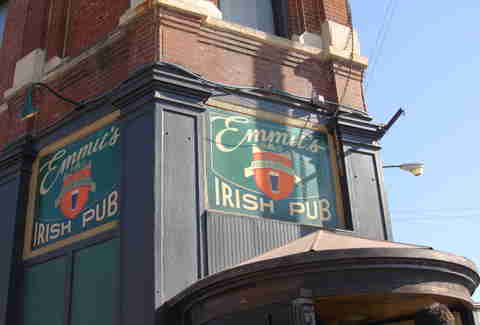 As the “official pub of the Chicago Fire,” this soccer bar is best known as that place where you can catch ridiculously obscure footy matches from all around the world in addition to local games from the other major sports, plus karaoke and Sunday meatloaf dinners with what amounts to your second family. They of course ramp things up for the celebration of St. Paddy, with the usual assortment of Irish dancers and U2 cover bands alongside more offbeat offerings like the Bottom Shelf Theatre performance of Reasons Why I Drink. 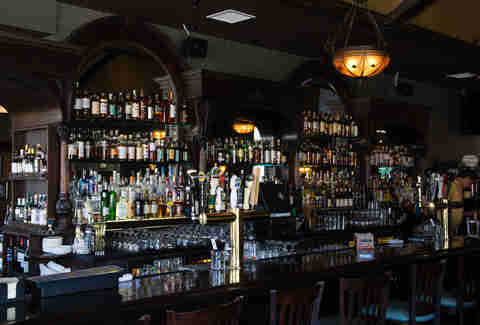 Drenched in history from its original location as a mobster hangout to a more recent incarnation as a legendary local punk club, these days this traditional Irish hang offers a slightly upscale vibe with a hearty beef and Guinness stew to pair with happy hour Jameson shots. Shamrock Day understandably offers a slightly more raucous and debauched vibe, where the booze starts flowing at 8am during its Parade Day party. 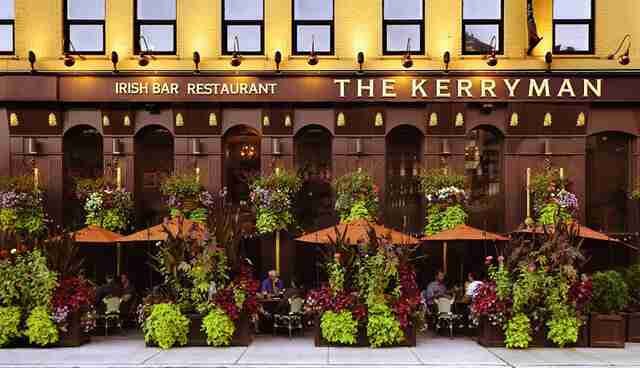 Once the weather gets over 60, one of the coolest patios in the area opens up. While there is some debate about whether or not this is a quote-unquote “secret” bar, it sure as hell ain’t easy to find. 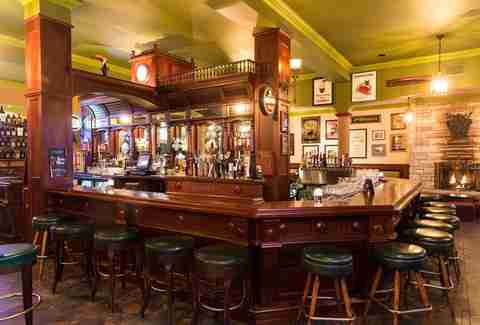 Located in the south wing of the Irish American Heritage Center, the pub is completely hidden away from plain view. The building itself looks very much like a local high school, so finding a bar inside really makes it seem like you’ve stumbled upon a Freemason hangout. In addition to hearty pub fare and pints of Guinness, you can expect live music after 9pm. Hit up the Friday fish fry and after a few stouts, stumble around the center to check out Irish art and photography exhibits. Jay Gentile is a Thrillist contributor and he is never too classy for St. Patrick’s Day in Chicago. Follow @innerviewmag.